My son had braces twice with Dr. Castagna. Once when he was younger for an overbite and then again when he needed a full set of braces. He was anxious about the process but Dr. Castagna and his staff always took the time to talk to him and explain everything. I have had a excellent experience working with the office staff regarding appointments and billing. Everyone is always friendly and understanding. Dr. Castagna has provided my son with exceptional care and the cost was with reason. I would highly recommend comin to him. Dr Castagna did a great job on Mikaela's teeth and we are looking forward to having him fix our youngest's as well. I especially appreciated the timeliness of all our appointments. Thanks again. My third (and last) kid just got her braces off. We have had an excellent experience with Dr Castagna from his wonderful (patient!) office staff to his state of the art equipment. Highly recommend. We have been extremely happy with Dr. Castagna and his office staff. He works very well with children and has alway made my daughter feel very comfortable. His staff is professional and always on top of appoints or any issues that need to be addressed. I highly recommend them and will return if any other family members need his services. Dr. Castagna has been fantastic and his office staff in Madison are great as well! I will definitely recommend him to friends in need of a great, local orthodontist. My daughter Erika loves her braces and was very excited the day she got her braces off. The staff was always helpful and kind. Dr castagna is first rate. So pleased with dr Castagna and his helpful staff. The kids enjoy coming here and they are very accommodating making appointments around our busy schedule. We have 4 beautiful new smiles in our house! Thank you! I have 2 children with beautiful smiles thanks to Dr Castagna. His office is friendly and efficient. Always quick, easy visits with fabulous results. De Castagna is very professional and exceptionally friendly and kind to his patients and their families. Everything went smoothly and according to the plan and schedule he laid out for us. His two assistants are also very professional and thorough. The whole experience was a pleasure and I would recommend his practice to anyone! Two of my sons have been coming here for over a year. We've had a great experience. I've recommended Dr. Castagna to so many friends since we started. Today both my sons are done with their treatment and I highly recommend Dr. Castagna and his team. Dr. Castagna and his staff are the best! They are professional, patient and pleasant. They fixed my children's smiles, and made the experience easy. Don't just believe me -- see the list of New Jersey Top Dentists. Dr castagna has been always nice and the staff is very helpful and polite. Charlotte's teeth look beautiful! Thank you to Dr Castagna and staff. We never had problems getting appointments and the office always ran on time. i would highly recommend Dr Castagna to anyone! Great experience with Dr Castagna. He and his staff were so friendly and competent! Highly recommend! My son looks very handsome. Dr. Castagna gave my son the best of care and was very professional. My son enjoyed every appointment knowing he was closer to a beautiful smile. Dr. Castagna and the staff are the best! We knew from the first consultation that this was a special office. Dr. Castagna is so kind and professional. The end result is spectacular! 5 star treatment and we HIGHLY recommend this office. Made the expander process easy! We're very happy with the results. Service and care is great! Always incredibly accommodating. Most importantly, teeth look great and my daughter's bite feels great!!! David received excellent care. The staff is always friendly and professional. Dr. Castagna and his staff are the best! New Smile Orthodontics Rocks!! My daughter had a great experience with her braces using Dr. Castagna. The appts. We're on time and she got quick and friendly service. Her braces came off about the expected time given too! Dr.Castagna is awesome and the staff is outstanding. They really know how to make you feel like family. Both my children have been patients of Dr. Castagna for years and have received excellent care from him and his staff. My oldest got his braces removed today and his smile looks excellent. I have the fullest confidence in the quality of care provided at this practice and would highly recommend it. My son had excellent care and his teeth came out perfect. Office staff was always very accommodating and friendly. Would definitely recommend to anyone who needs dental work done. I was very satisfied with Dr Castagna and the staff. Everyone is always so pleasant and kind. The appointments were always on time too. Never have to wait. Dr. Castagna and his team are terrific and the results of my 3 children's braces speak for themselves. Dr. Castagna is always patient and accommodating when answering questions. The staff is very helpful rescheduling appointments when needed and with billing questions. It was a great experience for my daughter. Love Dr. Castagna and the staffs are awesome and so friendly. So happy we came here, they took such great care of her. 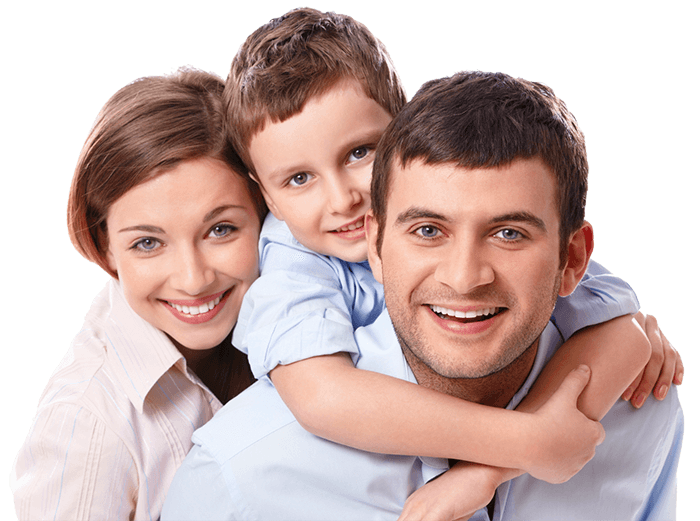 I have had all three of my children here and am very pleased with how wonderful their teeth look and how helpful the staff has been. Dr. Castagna is the best! He makes everyone of his patients feel comfortable and valued. The girls know each patient by name and are so friendly. Best of all I am always seen on time, no waiting around. Love this office! We are so pleased with the work of Dr Castagna and his wonderful staff. Always professional, courteous and very organized. Made us smile every time! Great service and wonderful staff! Thank you! Second child with amazing outcome. Thank you Dr. Castagna and staff!!!! Highly recommend. Many dentist I've had before were painful but New Smile Orthodontics is honestly the best. I've only had my braces on for 1-1/2 years but it went by so fast. My teeth look amazing and I'm extremely happy about how everything turned out. Awesome job by Dr. Castagna!!! Best staff ever!!! Very professional! Everyone was super nice and explained everything perfectly. What was nice is that my son went to his regular dentist for his yearly check up and everything that Dr. C told me was right inline with what our dentist said so that was really refreshing knowing that they weren't just trying to make money and doing unnecessary work. My son definitely doesn't mind going because they are always on time and quick. Love Dr. C and his staff! Everything is painless!! Everyone is always so nice. Dr. Castagna and the rest of his staff make a trip to the orthodontist easy and quick. With a skilled staff you know you are getting the best care around. Everyone working there is super kind and always there to talk to about sports, school, etc. Even with the amount of patients Dr. Castagna has, he always remember who you are so you never feel forgotten. I would hope this type of service for everyone. Dr Castagna and his staff have been amazing, professional and kind. My son's teeth took longer for the spaces to close and now they look great! Highly recommend! wonderful and friendly office staff. Professional and excellent care. excellent results, completely satisfied! we are very pleased with our experience with Dr. Castagna and his entire staff. Everybody at New Smile Orthodontics are so nice and helpful. Both of my daughter's teeth look fabulous! I would recommend Dr. Castagna and staff to all friends and family. Loved all of the staff. Happy that they stuck with me even through all my troubles. Dr.Castagna was a pleasure to work with, and his staff was always very pleasant. I would highly recommend this office to anyone who needs braces. Thank you so much. Dr. Castagna has been a fantastic orthodontist. I was particularly delighted with his commitment to continue tweaking the orthodontia until my son's teeth were perfect. Great bedside manner and his staff are super. New Smile Orthodontists made my teeth finally sparkle! Made my teeth so straight, and I\\\\\\\'m so happy with the results! This is a really good group of people. They're really good at what they do and they move fast. Once you get in you get out and they're really friendly. I'm glad I choose to come here for my braces. Dr. Castagna and his staff are amazing! Everyone always made me feel like family. I really enjoyed this process of getting braces which is known for some people to be uncomfortabe. I can't thank you enough for all you've done and the beautiful smile I have because of you! My teeth look perfect thanks to Dr. Castagna and his staff. I used Invisalign and he was very specific with directions on how to care for my teeth and braces during the procedure. His staff was professional, facilities were clean and making appointments and follow-ups were easy. I could not have wished for a better experience and I really love my smile. Thank you, Dr. Castagna! Leaving with a beautiful smile and a very happy daughter!! We are happy with the experience and the result. Many thanks!! For the two and half years we've been coming we've never had to wait to be seen, very friendly and professional. Thanks for the new smile! Would highly recommend. I am very pleased how my smile turned out. Dr Castagna is great doctor. The staff and Dr. Castagna were so kind and helpful, always answering our questions and just being helpful general and with such compassion. I love my son\\\\\\\'s new smile! Thank You! Dr. Castagna is wonderful!!! It was a long journey, but worth every bit of it!!! So pleased. great service and beautiful results! I had a great experience with Dr. Castagna. The staff at the madison office were always very nice and friendly. I was there for invisalign treatment and have gotten the exact results I was hoping for. Dr. Castagna was very accommodating and even allowed me to pause my treatment for my wedding! I highly recommend this office as well as invisalign. Treats all patients with the same amount of respect, and gets the job done perfectly. Overall great experience and very happy to have been worked on by Dr. Castagna. Terrific service for my daughter's ortho care, and great staff that was very understanding and welcoming. It's been a pleasure. I love my smile now and could not be more thankful to Dr.Castagna and his staff. thank you Dr. Castagna! Jimmy\\\'s smile looks great! Very pleased with staff and final result! This has been a wonderful experience! My sons teeth look amazing! Dr. Castanga and his staff are amazing. I highly recommend this practice. We found our treatment at New Smile Orthodontics so professional, caring and actually fun, even though at times braces can be painful. Doctor Castagna was nice and very approachable, as well as informative. 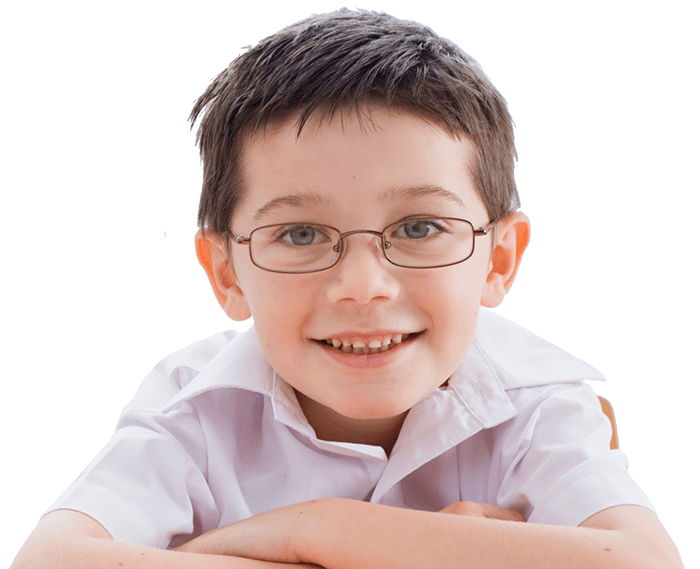 We look forward to having our next child receive treatment from New Smile Orthodontics. Thank you! Awesome experience here! Very friendly, professional, accommodating staff! Liam looks great and is very happy too. Thank you! Dr. Castagna has been the orthodontist for 4 of my children. He has always been very professional, informative, and courteous. He wants to get the job done right and I truly appreciate that. All my children have had very positive experiences with Dr. Castagna. In addition, the staff here is the best. Dr. Castagna is the best!!!!!! Don't bother looking for another orthodontist!!!!! I was so impressed by the service of the staff! They were always so pleasant and accommodating. Dr. Castagna was always right on time with my appointments and made me feel extremely comfortable. He was able to accommodate me and my hectic schedule. I never thought i would be this happy with how I look!!! Dr. Castagna was so friendly and understanding, he did a great job, my sons' teeth are beautiful. Thanks to Dr Castagna and his wonderful staff for making another beautiful smile in the world! You guys are GREAT!!! great experience! love my new smile!! Dr. Castagna and his team of professionals, and front office staff, are pleasant, efficient and awesome orthodontic professionals. A great experience!!! Best to you all!!! Very happy with my smile and looking forward to getting complimented. Dr. Castagna and his staff were so kind and helped me achieve my perfect smile. Happy with everything for all 5 kids! dr. costagna was excellent with rocco & the staff was great. thank you so much! my experience with dr terzis and dr castagna and staff has been amazing. thanks also to the wonderful staff! We are so happy that she has her braces off and her teeth look fantastic! We have felt so comfortable every time we come to this office. Thank you! evereyone has been wonderful. all 3 of my kids smiles look awesome. thank you so very much. Everyone was incredibly professional. Teeth look fantastic! Dr. Castagna is the best orthodontist around. Everyone in his office is nice, helpful, and willing to go the extra mile for you. I would recommend him in a heart beat. New Smile Orthodontics is wonderful! Had such a great experience with Dr. Castagna and his friendly staff. Would definitely recommend to any friends. I'm so pleased with my new, straight smile!!! Dr. Castagna is wonderful! He does a great job, has a great manner with patients and always keeps parents informed. His staff is warm and friendly as well! Dr. Castagna and his staff are amazing. We will recommend them to all of our friends. Dr Castagna has been great took over Christina\'s ortho mid way from Dr Tersis. He did a GREAT job Christina\'s teeth look great. Dr Castagna staff is always friendly, helpful &amp; kind. Thank you for your good work. I will recommend Dr Castagna if I hear anyone needing an orthodontist. thank you thank you thank you ! Dr. Castagna is awesome, I'm so happy with the new smile! The staff is all friendly, professional, and very patient. Thank you, New Smile Orthodontics! Everyone was always friendly and accommodating! Smile looks great. Rest of the family will seeing Dr. C too! I look great! Thanks Dr Castagna for the great smile you gave me! Love my new smile Dr Castagna and staff are wonderful and take good care of me would recommend New Smile Orthodontics to anyone!!! Love my new smile. The staff at New Smile Orthodontics are awesome and Dr. Castagna did an amazing job!! WE LOVE NEW SMILE ORTHODONTICS. THE DOCTOR AND STAFF ARE ALWAYS VERY FRIENDLY. I RECOMMEND THEM TO ANYONE THAT NEEDS ORTHODONTIC WORK. THANKS AGAIN TO HEIDI, ARIE, AND DR. CASTAGNA!!!!! Dr. Castagna and the entire office staff are wonderful and pleasant. Teeth came out great. I would definitely recommend them. Awesome job Doctor! Your staff takes care of everyone. Thank you for taking care of Jared. His teeth looks great! I highly recommend Dr Castagna. Thank you so much for taking care Divesh. You are an amazing Orthodontist. The staff is phenomenal and we would not hesitate to recommend you to our friends. Excellent results for my son! I would recommend Dr. Castagna to anyone who needs orthodontic treatment. Friendly staff, accommodating and professional. We have been very satisfied with Caroline's orthodontic treatment. It was not uncomfortable for Caroline during appointments and we never once waited past appointment time. Would gladly recommend Dr. Castagna and his staff to others. I am very pleased with my daughter's result. Dr. Castagna and the staff were great! Dr. Castagna respected our time and was always prompt with appointments. Michael's teeth look fantastic! Thank you! New Smile's staff is always very friendly and accommodating. The new computer system is wonderful for scheduling and reminders. We really like all of the changes to make the office more modern and convenient. They were very helpful and gave me good answers to all my questions. I always felt my son was being taken care of. I am very happy with the results. Thank you for the great treatment! NikkiAnn had a positive experience while under Dr. Castagna's care. She is happy with her new smile! it is very good! I'm very happy with the result. Dr. Castagna and his staff have been incredible throughout the treatment of all 3 of our children, Irina, Mary and Philomena. We could not have imagined such perfect results. And we are so touched by the kindness and patience in all matters concerning every aspect of our relationship. I highly recommend New Smile Orthodontics! Dr. Castagna & his entire staff provide exceptional service with the utmost professionalism. They were very helpful during the entire process, and I couldn't be more pleased with my son's new smile! Excellent care and great finish! I was very pleased with my results everyone there was very kind and caring. Thank you Dr.Castangna! Both of my Children's teeth look great. Dr. Coastagna is very supportive of his patients, and his office staff is very nice and keeps things flowing smoothly and on time. Great orthodontist and great staff. Very happy! We love Dr. Castangna! All 4 of my kids are patients. Two just finished with braces and are wearing retainers. They look dynamite! The whole process has been painless, stress-free, convenient, and happy. My kids never complain about coming here. They staff is warm and friendly. We can't say enough about how positive our experience has been. Thanks-a-million! Great orthodontist, great staff, his smile looks great! We had a wonderful experience here with Dr. Constangna and his amazing staff. Thank you for a positive experience with braces!! Our experience coming to your office has been extremely nice. Dr. Castangna and all the staff are very pleasant. Sephora's teeth look great and we will definitely refer people your way. We are thrilled with your services, your staff, and my daughter looks great! Thanks so much!! My daughters teeth are straight and she has a beautiful smile. We are so happy with the results. Thanks! I had a lovely, no hassle experience with my braces, Dr. Castangna and his staff. It seemed to be over before I knew it! The staff at New Smile Orthodontics were always friendly with a great work ethic! Monthly visits were quick yet effective. I had my braces on for a year and I half and I can say I am pleased with my results. 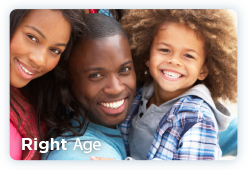 I would recommend New Smile Orthodontics to friends and family of all ages! Im happy that I got my braces off. The results were great and I appreciate it. Dr. Castagna is a great orthodontist and I encourage others to visit him to do the same! i could not be happier with the results. dr. castagna and his staff have helped me out from the first day. the staff is very nice and always ready/willing to help. i must say I've been late to more than 5 of my 11 appointments and they still accepted me that day with no repercussions. my smile came out even more perfect than when my accident ruined my smile and i could not be happier. dr. michael castagna even smoothed out the tips of my teeth for that trademark hollywood smile. i can honestly say i cried tears of happiness when my braces came off after i saw the results. i would recommend dr. castagna to anyone who wishes for a perfect smile, he is the man and his staff could not be better if they tried. very accommodating staff. friendly and knowledgable orthodontist. Ben's teeth look amazing. Thank you SO much! Everyone on the staff was really nice and got the job done effectively. We had a great experience. Dr. Castagna is very clear in his explaining what is going on with Will. The staff is always friendly and helpful. I'll be back with Avery soon! Great staff and loved the availability of appointment times. Everyone was really nice! I had a really complicated case and I appreciated everyones help. My son has been coming to see Dr.Castagna for over a year. We were very pleased with Dr. Castagna as well as everybody else in the office. We always got great service and high professionalism. Thank you very much. Thank you for a great job!!!! her smile looks great! We are absolutely thrilled with the results of Madeline's orthodontic treatment. The staff has been extremely professional and a pleasure to deal with. Abby's smile looks great! Thank you to everyone at New Smile for taking amazing care of her during this process! The staff made this a very pleasant experience. Very happy with our son's results! Very happy with the office staff-only positive experiences! Thanks so much! dr.castagna and all his staff are great! My son's smile look wonderful. My daughter's teeth look fantastic! Thank you--could not be happier! Emilia looks wonderful with her braces off. Her smile looks great. We had a great experience with Dr. Castagna's office. Dr. Castagna and the staff were all great. Appointments were timely, all were friendly, and my daughter's experience was easy and successful. I would l recommend New Smile Orthodontics, and in fact, my son just got his braces on in August. Staff and doctor are very patient and friendly. Making and changing appointments are very easy. Our experience was very positive. this was a very positive experience. the staff is warm and friendly. the dr is knowledgable and takes time with his patients. We have been so pleased with the service and treatment we have received from Dr. Castangna and staff!!! She looks beautiful!!! Thank you for doing such a great job! Very positive experience all staff were great. Would highly recommend Dr. Castagna and his staff! 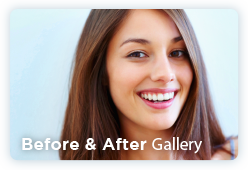 The whole process of getting, tightening, and even getting off the braces always felt really quick and easy. If I had a question, i was able to ask, and always know what was going on. Everyone here is friendly and informed in their subject matter. It has been a pleasure working with Dr. Castana. My daughter's teeth are strong and straight! The office is friendly and helpful. I can not recommend Dr. Castana enough! I would recommend this office to everyone!!!! We've had a great experience with Dr. Castagna. Everyone in the office is pleasant, helpful and professional. Very nice job on the teeth too! Thank you. We are thrilled with the results of Julia's dental work. We have already recommended this office to friends because we have been so pleased with the kindness of the staff, timeliness of appts, and of course the excellent care. Thanks to everyone! We are very pleased with Rob's new smile! Dr. Castana and staff did a wonderful job! Everyone in the office is very friendly and caring. It was worth the wait!! My daughter's braces turned out wonderful! Thank you for such great care! She has a beautiful smile. We were pleased with the services provided. It was a long journey, but the results were well worth it. We are thrilled with our outcome. My son's teeth are perfectly aligned and he is very happy. Excellent job! We are very happy with Dr. C.
I am very happy with my smile! I am so glad my braces were taken care of by such a professional staff. Thank You! thank you so much for taking care of anthonys teethes. the entire office was very professional and friendly...we are very happy. Wonderful staff, wonderful doctor. We felt comfortable on every visit, and we will highly recommend the doctor to friends and family. Keep up the good work. Dr. Castagna and his staff have been wonderful to work with! They have been so accommodating to fit us in the schedule for all our little emergencies. Thank you so much! Kurt's teeth are beautiful. Great experience! The results are beautiful and very quick! Highly recommend New Smile Orthodontics and Incognito! A wonderful staff, never felt rushed, answered questions, followed through on inquiries. The teeth were aligned better than I expected considering I am an adult orthodontic patient. Would highly recommend the doctor and staff for work done here. Great experience. Dr Castanga and his staff were wonderful and professional. Both of my children are very happy here! Thank you so much! Wonderful experience. My daughter is THRILLED with the outcome. The Dr. and staff are wonderful, friendly and accommodating. We'll be telling all our friends... Many thanks!! I am very happy with my teeth after the process of having braces in Dr. Castagna's office! The staffs and Dr. Castagna are very nice and professional! WONDERFUL EXPERIENCE. PROFESSIONAL AND CARING STAFF. HIGHLY RECOMMENDED!!!! MY daughters teeth are beautiful!!!!! I received great care from a professional and caring staff. Thank you for being patient and gentle! The whole staff is very understanding. 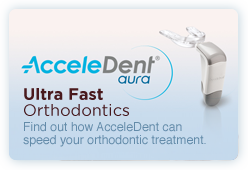 We have had very professional service and very caring staff look after us through this whole process of having braces. My daughter and son have both had braces and now we are bringing our younger daughter in for an evaluation! We are very happy with the time you have spent with Corey. My daughter and I are very satisfied with our outcome. The staff did an outstanding job. Dr Castagna and his staff are very kind and did an outstanding job! Our experience with Dr. Castagna was great! We are very happy with our results! We love his office staff and assistants! My son had the best care! The experience we had with Dr. Castagna from start to finish was impressive. The results were great. He is extremely professional and knowledgable. He makes his patients very comfortable and assures the parents of great results which he absolutely delivers. It is clear why his business thrives. The invaslign process was great. I did invaslign express which made the experience faster, easier and relatively painless. Dr. Castagna was great about notifying me about the process and I was thoroughly impressed with his whole system. My teeth look great! Thank you Doc! Great experience with braces, staff did a wonderful job explaining the process step by step. Yo estoy muy contenta porque mi hijo tiene sus dientes arreglados. Gracis por la buena atención. Maria Goicochea. Very happy with my son's treatment and with the results. Alex had his braces for a year. Thank you! Feeling great now that my braces are off! Thank you so much! Braces were on and off before I knew it, it was quick and I love the way my teeth look! Loved the way my teeth came out!!! Couldn't ask for nicer orthodontist and assistants!! She looks great! I hope that she's good about wearing her retainers. Thank you. Great Job! So Happy. Thank you to the entire staff for a wonderful job. Always quick and efficient, and my teeth look awesome! My son's teeth look beautiful. The staff is exceptional. Excellent results and accommodating with appointments. Very happy teen! Beautiful job!! I know that my son can be hard to handle at times and you have shown great patients with him and I appreciate it. Can't wait to see the finished product!! Thank you!! My son had a good experience with the dentist. He just got his braces off and his smile looks great! Great experience! The entire staff makes you feel comfortable from day one! Dr. Castagna took the time to explain all the details to Connor, which made him feel very at ease. We are thrilled with results and are readying Connor's sister for her turn. Thank you, New Smile Orthodontics. My smile looks even better than I thought it would! Dr. Castagna exceeded my expectations! And all of the staff are a joy to work with. Very excited and pleased with the results. My son looks great!!! Dr. Castagna is excellent . They were gentle in putting the braces on and taking them off. I had great results and I recommend them to anyone. Everyone was really, really nice and i feel that they have made my teeth come such a long way from how they started! Great office and staff, not to mention that my teeth look great. We had a great experience with both our kids and highly recommend the practice. This is the second time in my life that I had to get braces on my teeth and I have to say that this time around as a adult was a piece of cake thanks to the incredible staff and Dr. Castagna. The staff was extremely courteous and always made me feel welcome the second I walked through the door. Dr. Castagna was as professional as any doctor or dentist I have ever had in my life. I have 5 children and if any of them need braces they will go to nobody but Dr. Castagna. I highly recommend any parent who has a child that needs braces to meet with Dr. Castagna and his staff so they can find out how first class they are. very pleased with staff and results. thank you very much! my daughter was excited to get her braces off today! her smile looks great! This was our second child who went through the system here-very professional and supportive staff. Overall we had a great experience. Everyone in the office has been patient with all of my concerns going back to braces in my fifties. They all helped make the process less stressful and painless. Very happy with my smile! Amazing results! Great experience! Teeth look awesome! My teeth look and feel so much better than before. It's so wonderful! Thank you! Very efficient office. Dr. Castagna has a great way with the kids. Thanks! I'm very happy with my new smile! The treatment was very well. Everyone is very nice and treated me amazing. Gabrielle had a wonderful experience. It was a long process, but worth it. Her teeth look great. We are so glad we were recommended to come here and very pleased with Dr. Michael and the staff. My boys will being coming here also and i will continuing to recommend it here. Results came out wonderful, my son now has a great smile.Thanks to Dr Castangna and his staff Great Job. We only had great experiences at Dr. Castagna's office. The staff is wonderful and appointments were always quick and on time. Natasha's teeth look wonderful and we look forward to bringing our next two daughters. Thank you! we were very happy with my son's "new look" We love the doctor and his crew , and found them very professional as well as nice and courteous. Im satisfied about the results and am very appreciative of the way of my teeth look. I am very happy with the results with Dr. Castagna and the whole staff. They did a great job. The staff was always pleasant. Appointments were always on time. Thank you. We have had such a wonderful experience with this office. They are caring and attentive. Thank you! Very Patient - explains everything so well - Thanks!! My son's teeth look phenomenal! Michael's teeth look great. The staff is friendly and accommodating. Thank you!! I happy that I only had to have them on for 2 years, also happy that i did not have to get surgery. This was a great experience!! Everybody was so nice to me the entire time! my daughter hasn't stop smiling! Dr. Castagna did a wonderful job. This is the friendliest office that we have ever been too! Teeth looks great and completely straight. Very impressed in the work they have done. Chad did have a great improvement on his smile. E veryone at that office is pleasant and great to get along with. Very professionally run office! My son has a great smile now! Up to date equipment and procedures. Melissa has a wonderful smile now ! Your staff was supportive and caring. I would recommend you to my friends ! Everyone at New Smile is very professional and helpful. If you need an orthodontist, this is a great place to come. Very happy with services thus far! Beautiful smile! Very friendly staff. Easy to make appointments. Excellent results. My daughter had her braces for three years and it was well worth the wait! Dr. Castagna was very caring and did a wonderful job! It looks amazing and feels so good to have them finally off ! its defiantly a wonderful feeling !!! We have had a wonderful experience with Dr Castagna! My sons teeth were some of the worst to work on.......thankfully we did not have to remove any teeth to ensure a good smile. Thank you Dr Castagna, we will see you with our daughter soon!! Isabelle looks beautiful!! The whole process was better and easier than we ever imagined and the end result is great. Our appointments and follow ups were always easy to schedule and always on time. Thanks for everything! Really good experience all round. I am happy with the outcome of the teeth and how they now look, as well as the overall service and attention of the team. My three daughters look even more beautiful thanks to the great orthodontic work. I also want to comment that the staff are incredible and always pleasant and helpful. Added to all of this is appointments have always been timely for all my children and their many many appointments. have had all four of my children here and have been very pleased with the service most importantly everyone has been a pleasure to work with!